Selling the concepts of user experience is often as much about education around activities and terminology as it is about showing real world effects, listening and comprehending client needs. While numbers in proper context will speak for themselves UX-terminology does not. It is ugly, has diverse definitions depending on approach and is many times unnecessarily technical or in worst cases a smug acronym (just look at the title of this blog). If you like me do not live in an english speaking country add to that an unnecessary language barrier. Most often your own language (swedish in my case) already has perfectly adequate terms to match its english/techno-based counterparts. Markus Weber recently posted a few thoughts on the subject. Continue reading if you are curious to my approach. Twitter has partially positioned itself as the social networking, idea and news spreading platform of choice for professionals. Even more so with the recent LinkedIn integration. Creating a separate Twitter account for your work related activities can be a good idea. In my case splitting work from private was an easy choice due to the obvious problems of mixing languages. Having a second account has also taught me something else. I´m beginning to see a pattern in the tweets by people I choose to follow out of professional reasons. Most often I will look up people whose work I find inspiring in hope of them sharing some of their wisdom. However great work alone or working for a respected agency does not make much of a difference when it comes to clicking the follow button. If the sum of your recent tweets don’t have a certain balance or feel to them it´s just not going to happen. So what makes you interesting to follow? There are a lot of great guides out there on how to and how not to tweet. The emerging pattern I´m looking at consists mostly of my gut feeling which is not necessarily a bad thing after reading Malcolm Gladwell´s Blink and learning about the concept of thin slicing. Keep going for the full breakdown. 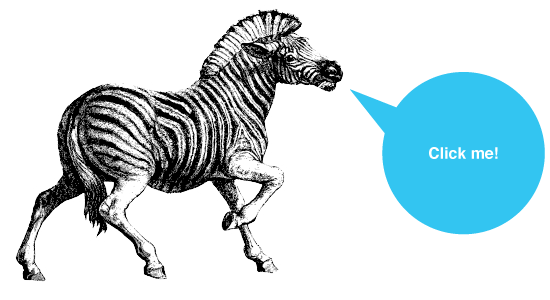 While reading Jessica Enders articles on Zebra Striping at A List Apart I made a couple of observations. Fairly obvious ones as the formatting of table data is not rocket science but still perhaps worth a few minutes of typing.